Taste: Milky flavor with slight nutty note, clean fresh aroma, soft to semi soft texture with a tight, closed texture (no cracks, slits or pinholes.). Usage: Ideal for everyday uses, snacking & sandwiches. Pairs well with ciders, light beer and white wines. 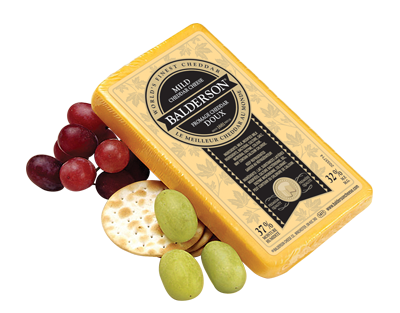 Taste: Similar to Mild but slightly firmer in texture and slightly stronger in cheddar taste. Usage: Ideal for snacking, lighter foods like omelets, sandwiches and nachos. 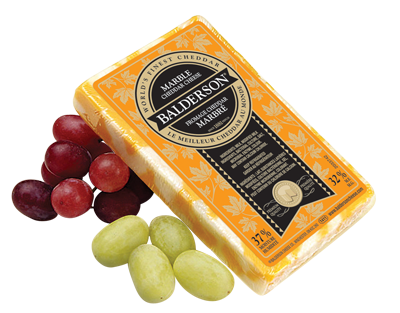 Excellent with pears, apples and goes well with beer or ales and sparkling wines. Age: Minimum of 12 months. 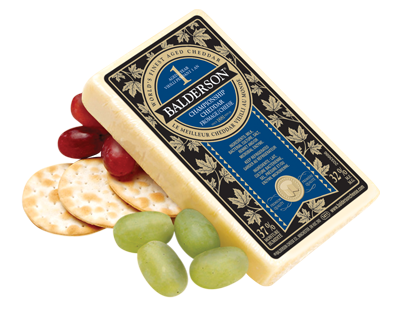 Taste: Similar to medium with slightly elevated salty taste and the beginning notes of sharpness . Firm texture. Usage: Available in both white and coloured varieties. Very versatile for snacks, recipes and entertaining. Ideal for shredding, slicing, cubing, melting, grating and cheese trays. Best age range to complement most wines and beers/lagers. Flavour: Similar to medium. Smooth flavour with a slight firmer texture. Mixture of white and coloured cheese curds give it a marbled appearance. Usage: Sandwich slices. Decorative as cubes, triangles or fingers on cheese trays. Age: 14 – 18 months. 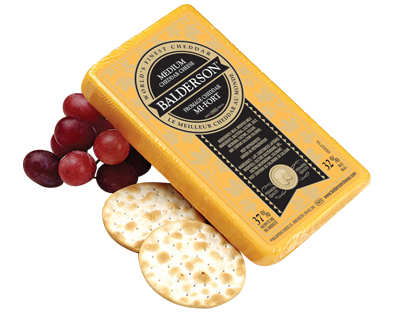 Taste: Full, pleasant cheddar flavour. Sharpness from additional aging. 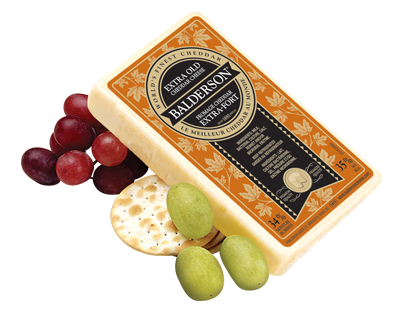 Great first introduction to consumers that want to try an aged cheddar. Usage: Available in white and coloured varieties. Ideal for rich, creamy sauces, shredding, baking & cheese trays. Pairs well with crisp white wines, most (young) red wines, beers/lagers. Age: 12 months (highest scoring for taste, texture & appearance). 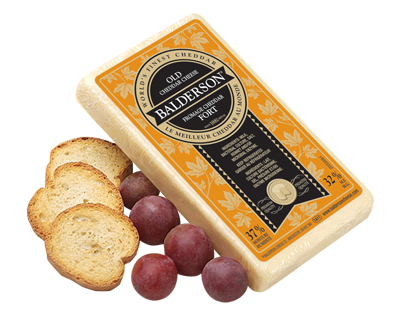 Taste: Similar to Old with a creamier texture and more rounded cheddar flavour. Usage: White cheddar only. Cheese trays, shredded or cubed for Salads. White wines with a low sugar content. Pairs well with nuts, dried fruit, or olives.